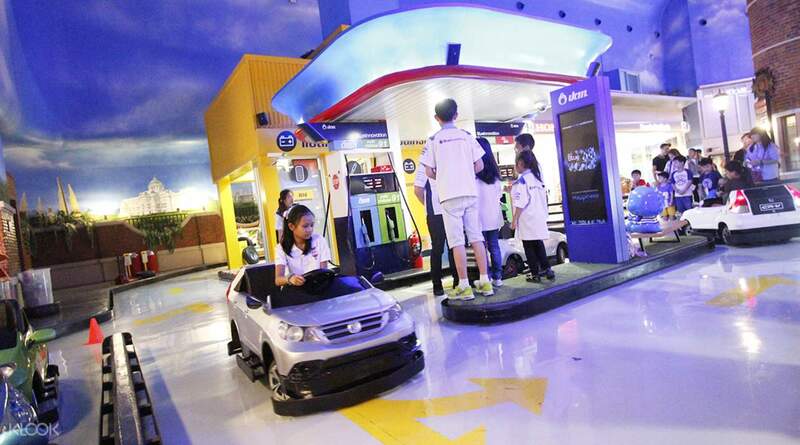 Book KidZania Bangkok tickets and have the kids enjoy more than 70 roles and scenarios! Choose to visit on any day of the week, even on weekends! Remember the time when all you wanted to do was grow up and start working? KidZania Bangkok, a miniature city where kids can roleplay a variety of occupations, is a place that allows your children to do exactly that! Take this opportunity to book your KidZania Bangkok tickets and let your kids experience what it's like to be an adult while having fun along the way! With over 70 activities to do from whipping up a meal as the town chef to putting out fires like a fireman, your kid will love every second of their stay. To top it off, with every activity they complete, they earn money that they can use to (what else?) go shopping! Your kid will leave the city a little bit more responsible, confident and independent. 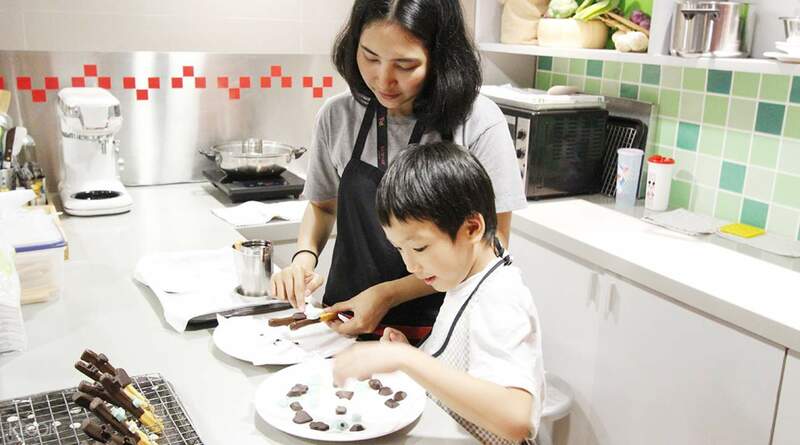 Take your kids out for a day of fun at KidZania Bangkok and top it off with an incredible learning experience at one of the top ranking activities in the heart of the city - you'll thank us later! There are so many things to do in the miniature city—from saving lives to writing for newspapers, your kids can experience them all! Bring your kids to experience what it's like to be a pilot and fly a plane when you book KidZania Bangkok tickets! A great place for kids. One full day (we go there on week days) is definitely not enough for my son. So, I think better go there in the week ends. Food inside is good, suggest to buy coupon can save a bit. A great place for kids. One full day (we go there on week days) is definitely not enough for my son. So, I think better go there in the week ends. Food inside is good, suggest to buy coupon can save a bit. It's a great experience that my child got. As the activity was booked through klook the price was cheaper.. It made me surprised to see the difference between the entrance fee at the gate and klook price. I recommend always to use klook to book activities. It saves time and money. It's a great experience that my child got. As the activity was booked through klook the price was cheaper.. It made me surprised to see the difference between the entrance fee at the gate and klook price. I recommend always to use klook to book activities. It saves time and money. I got a 4 years old ticket for my 3.5 years old boy. He enjoyed himself very much and the staff there gave great attention to him thoughtout the activities. There were plenty of sitting area for the adults to observe outside. Highly recommend! I got a 4 years old ticket for my 3.5 years old boy. He enjoyed himself very much and the staff there gave great attention to him thoughtout the activities. There were plenty of sitting area for the adults to observe outside. Highly recommend! Very easy to redeem ticket at the entrance. Agree with others that it was hard to find the place. We arrived at around 10:40 on a Wednesday and it was quiet. There was a small group of kids from school there but they played in groups so it didn’t cause any issues. Barely any line ups but we couldn’t finish all the shops. My kid (age 6.5) wanted to make lots of money so we didn’t spend any on the ones that you need to pay (for milk, juice, etc.) We did do the McDonald’s one so she can have the burger for lunch. Note that there’s no re-entry but you could bring water and food in if it’s in your backpack. One tip is to bring a small purse or lanyard for your kid to hold their money and stuff... because they sell you a 250 baht lanyard with plastic holder right after the kid gets cash from the bank. I got suckered into getting one because we didn’t bring a small purse. It was a good souvenir though. We got a drink holder and pencil as prizes and redeemed a frozen yogurt with the money she had left. Go to the department store to redeem around 4:30 as the crowd start to go just before or at 5. Pictures were so expensive so we didn’t get any. I recall it was almost 500 baht per picture. We got enough good videos and pictures ourselves.. even though we couldn’t get the ones on the plane or the upper level of the hospital. Experience was wonderful and it was worth spending the time and money here for the day. Also, there’s free wifi, but you need to re-login every 30 min. Very easy to redeem ticket at the entrance. Agree with others that it was hard to find the place. We arrived at around 10:40 on a Wednesday and it was quiet. There was a small group of kids from school there but they played in groups so it didn’t cause any issues. Barely any line ups but we couldn’t finish all the shops. My kid (age 6.5) wanted to make lots of money so we didn’t spend any on the ones that you need to pay (for milk, juice, etc.) We did do the McDonald’s one so she can have the burger for lunch. Note that there’s no re-entry but you could bring water and food in if it’s in your backpack. One tip is to bring a small purse or lanyard for your kid to hold their money and stuff... because they sell you a 250 baht lanyard with plastic holder right after the kid gets cash from the bank. I got suckered into getting one because we didn’t bring a small purse. It was a good souvenir though. We got a drink holder and pencil as prizes and redeemed a frozen yogurt with the money she had left. Go to the department store to redeem around 4:30 as the crowd start to go just before or at 5. Pictures were so expensive so we didn’t get any. I recall it was almost 500 baht per picture. We got enough good videos and pictures ourselves.. even though we couldn’t get the ones on the plane or the upper level of the hospital. Experience was wonderful and it was worth spending the time and money here for the day. Also, there’s free wifi, but you need to re-login every 30 min. It was not busy when we visited the place. At most the wait was about 15-20mins for each activity. My kid did not want to go off at the end of the day. Many jobs to do. Fireman, pilot, policeman, acting on stage, dentist, researcher. So many things to do. Well worth the visit. Will come back again. It was not busy when we visited the place. At most the wait was about 15-20mins for each activity. My kid did not want to go off at the end of the day. Many jobs to do. Fireman, pilot, policeman, acting on stage, dentist, researcher. So many things to do. Well worth the visit. Will come back again. First of all the booking through Klook is smooth and makes things very simple. No need to waste time buying entry tickets. Kidzania is amazing. My daughters loved it and it brought a smile to our faces as well. There are lots of cafeterias inside so plan a whole day activity as your kids will want to spend the entire day! The staff is extra courteous and the patience they have with the kids is amazing!! First of all the booking through Klook is smooth and makes things very simple. No need to waste time buying entry tickets. Kidzania is amazing. My daughters loved it and it brought a smile to our faces as well. There are lots of cafeterias inside so plan a whole day activity as your kids will want to spend the entire day! The staff is extra courteous and the patience they have with the kids is amazing!! Wow, wow, wow, an amazing place for kids to learn and experience life. Well done made, clean and highly educational. We were there for 5 hours but we didn't have enough time. We'll definitely come back. Wow, wow, wow, an amazing place for kids to learn and experience life. Well done made, clean and highly educational. We were there for 5 hours but we didn't have enough time. We'll definitely come back. Our 1st visit to Kidzania Bangkok. The tickets are cheaper than buying over the counter. Though we couldn’t speak/ understand Thai, the kids seems to be enjoying themselves and most of the time , the staff tried to translate in English to them. I trade up my 3yr old gal ticket to a youth ticket so that she can hands on all the activity too. The place is not as crowded ... thus, the kids got to try up to 12 activities 😊. We spend 6hrs there .. definitely need to carry power bank cos it’s none stop taking pics of kids in action 😊. It would be good if there charging point service on the go, so that we can charge as we wait for the kids... I rmb I saw 1 in KZ Singapore. Our 1st visit to Kidzania Bangkok. The tickets are cheaper than buying over the counter. Though we couldn’t speak/ understand Thai, the kids seems to be enjoying themselves and most of the time , the staff tried to translate in English to them. I trade up my 3yr old gal ticket to a youth ticket so that she can hands on all the activity too. The place is not as crowded ... thus, the kids got to try up to 12 activities 😊. We spend 6hrs there .. definitely need to carry power bank cos it’s none stop taking pics of kids in action 😊. It would be good if there charging point service on the go, so that we can charge as we wait for the kids... I rmb I saw 1 in KZ Singapore.